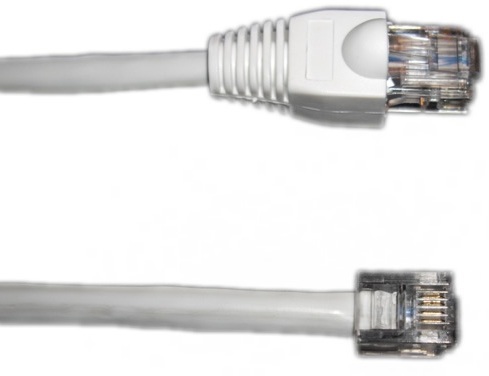 High quality RJ45 to RJ11 patch lead, suitable for patching modems & routers to ADSL & VDSL faceplates. Made from pure copper stranded white CAT5e cable. This cable is intended for high bit rate digital services (FTTC) such as BT Infinity & is also suitable for ADSL & offers excellent noise rejection. 3m length. Both plugs have gold plated connectors. Strain releaf boot on RJ45 end.